Sir David John Spiegelhalter is a British statistician. 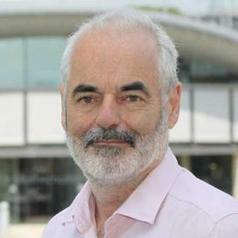 In 2007 he was elected Winton Professor of the Public Understanding of Risk in the Statistical Laboratory, University of Cambridge and a Fellow of Churchill College, Cambridge. His work focuses on the appropriate use of quantitative methods in dealing with risk and uncertainty in the lives of individuals and society.This falls into the broad category of "public understanding of science", while work he does with schools can be considered as "maths outreach". Along with colleagues he tries to take a view of the subject that extends beyond the application of probability and statistics, acknowledging that there are deeper uncertainties that cannot be easily put into a formal framework, and that social and psychological issues necessarily play a vital role.